I don’t think there is a professional around who could look you in the eye and tell you exactly what is going to happen after Brexit. There are just too many ifs and buts. If we crash out, that is a whole new level of ambiguity. Is it a totally crazy time to be thinking about moving house with all this uncertainty in the air? The trouble is that life carries on. We all reach a point where moving house is almost not a choice but a longing, because you hanker after a new adventure for your family or you’ve out grown you current home, your job circumstances have changed or your aren’t living the lifestyle that you really want. Let’s be honest, the past couple of years haven’t been buoyant as far as the housing market is concerned. The changeable economic and political outlook have made buyers cautious and this has been exacerbated by the stamp duty overhaul in 2014, which saw a 3% surcharge. The greater exposure to inheritance tax and capital gains tax for overseas buyers also meant a move was even harder on the wallet. So, if it hasn’t been great for the last couple of years, how long do you wait? Here’s what we do know. Housing transactions have hit a plateau, with little prospect of recovering to 2007 levels (1.6m transactions, versus 1.2m in 2018). Nonetheless, most of our London based clients have sold their houses relatively quickly. The key to their success is that they priced realistically, were happy to accept offers from solid buyers and weren’t fixated on getting above asking price. 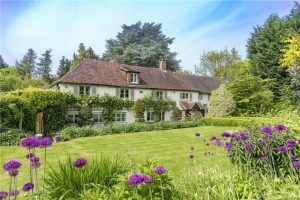 The good news for them and anyone else looking to move to the Home Counties, is that by taking a good offer on your London property, your buying power is not diminished, as house prices in the country have moved more or less in tandem with London. Surrey estate agents are telling us that they’ve had a good start to the year, better than last year in fact. It is a serious buyers market. If the house is right, then there is no hesitation in buying, and there are deals to be done. So what to do if you’ve decided that 2019 is the year to move to the countryside? Our antidote to Brexit blues are: focus on the parts of the house move you can control – this will make you feel like you are starting the process and none of these actions will go to waste in the long term. Get your finances in order.Know exactly what your budget is and get your mortgage offer in place, so that when you get out there, you are positioned as the best buyer and you’ll know exactly what wriggle room you have if you start negotiations. Do your groundwork.Deciding on the area is almost as hard as choosing the house, so book some pub lunches and whilst the pressure is off spend your weekends in the area you think you want to move to. Alternatively, book a Property Potential orientation tour – where you could spend a day with professionals who will give you a crash course on their patch, to help you to decide where to focus your search when the time is right. Do your homework.If schools and education are drivers for the move, then February and March see spring open mornings at most schools in both the independent and state sector. It’s never too soon to decide on where the children will be going to school and it may also help you narrow down your search area for your move. Get your house looking at its best. Declutter, repaint, do that job you’ve been meaning to do for a while. Since Brexit is in late March, which is traditionally when the country housing market is in full swing, at least you won’t see the months slip by whilst you get your house in order – rather, you’ll be able to get your home’s marketing signed off ready to launch. There is plenty to be getting on with whilst you wait to see what effect Brexit will have on the rest of the year. Nothing beats the blues like some action and purpose, so you’d better get to it! 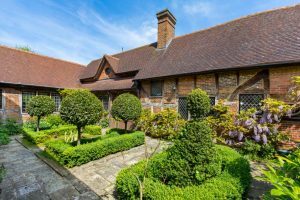 If you’d like to book an orientation tour of Surrey, Hampshire or West Sussex, get in touch and we will get you booked in. It takes approximately five hours, you sit back and relax, we’ll drive you around the areas that we’ve pin pointed to suit your needs. We will give you the insider scoop about every village and town. We’ll discuss everything from nurseries, schools, or the commute and will see a couple of houses within your budget. It’s six months of knowledge in a day. Houses featured are currently on the market.